Well, for those of you who are wondering, my hair is still curly. Yep, still curly. The only difference between the first day of my perm and today’s perm is that my hair is 6 inches longer. So for future reference, if your perm stylist tells you that a perm is going to last a year, believe them. Is my hair still frizzy? 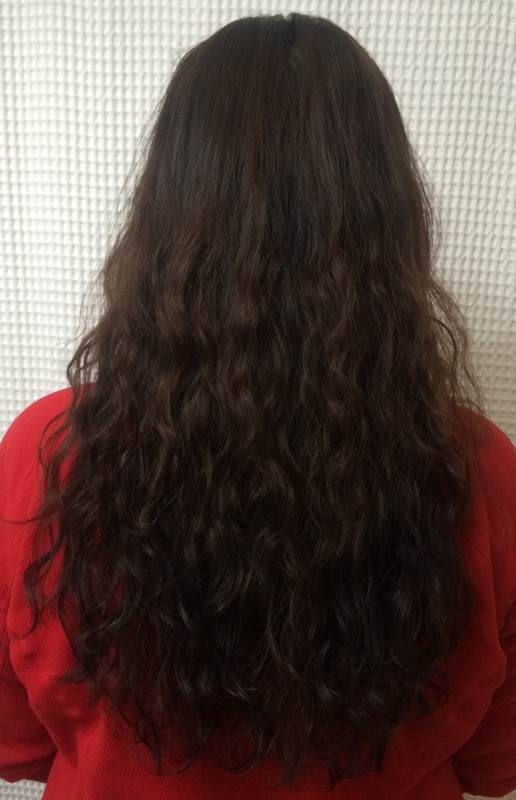 Have I given up on the hair products I’ve been using? Yes, I’ve had to stop using Bumble and Bumble Curl Conscious Calming Crème but only because the product was weighing down my hair. I’ve replaced the calming creme with Dove hair conditioner, a product I used in the shower when my hair was straight. 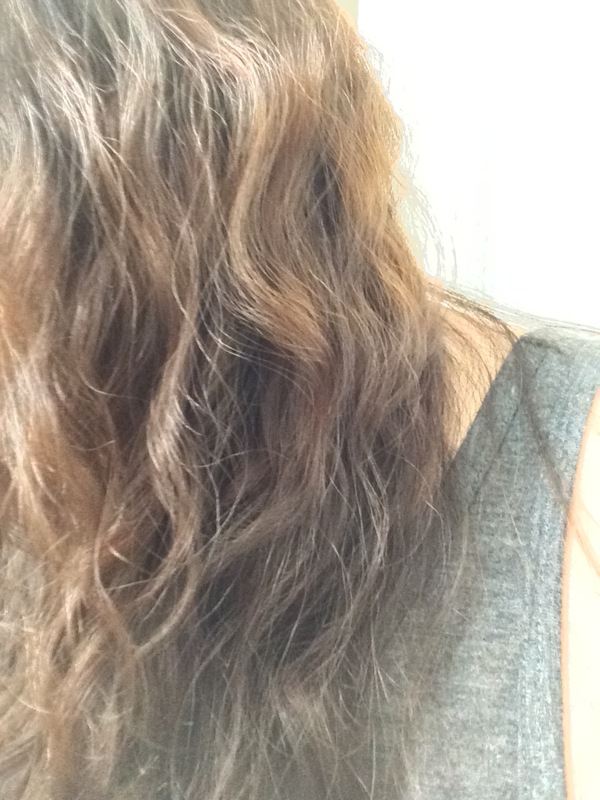 Why do I use hair conditioner to style my hair? I normally have my hair styled by 8 AM and it stays pretty tame until well after 6 PM. 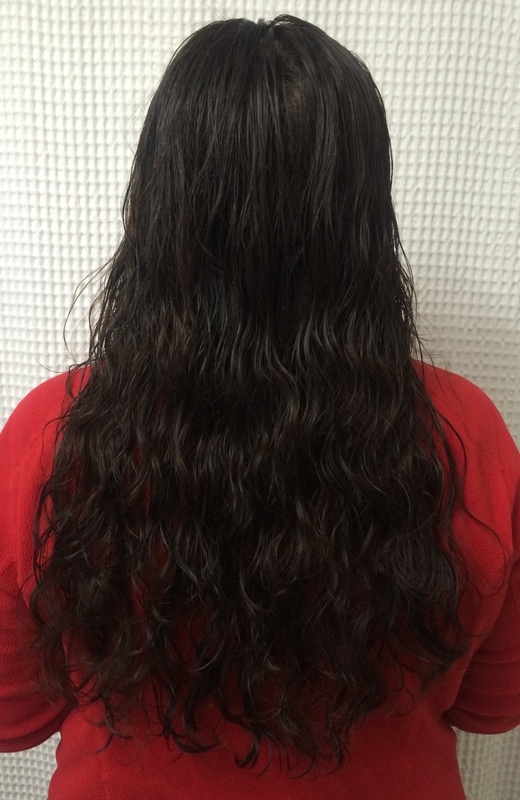 How do I style my curly hair now? The only thing that hasn’t stayed consistent with this digital perm of mine is the way I style my hair. 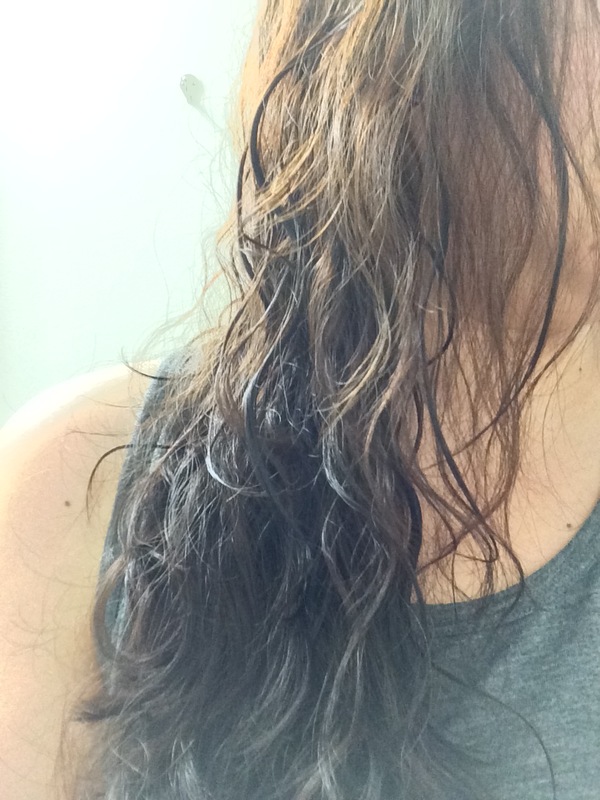 Last you read, I was styling my hair when it was still wet and letting it just air dry. I don’t do that anymore because I’ve discovered that if I let my hair just air-dry, it’s pretty soft without any products in it. 1. Wash my hair in the evenings. Gently squeeze extra water out of hair and wrap hair in a towel for a bit. Don’t rub your hair dry with your towel. 2. Let my wet hair dry and sleep with my hair loose. 3. 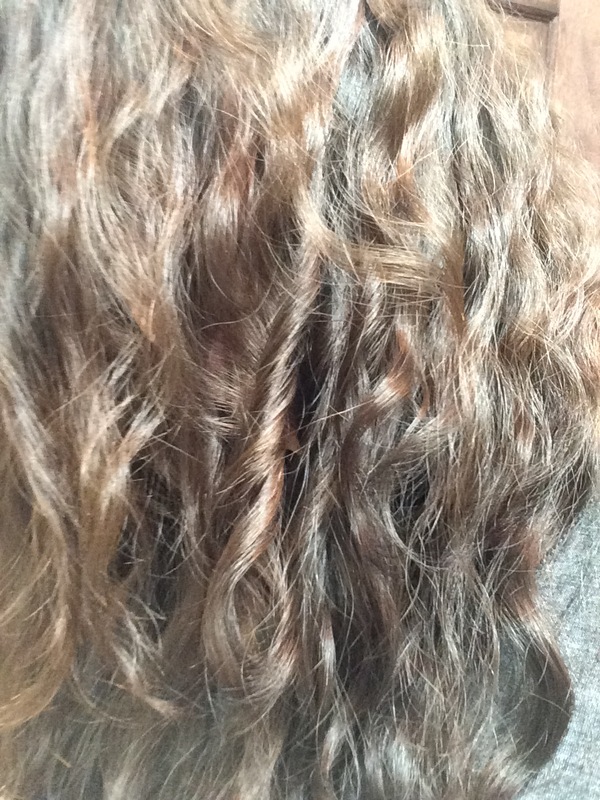 Coat my dry (and sometimes tangled) curls with a bit of water using a bottle that sprays a light mist. 4. Scrunch my misted hair to liven up my curls. 5. Clip the front side of my hair behind my head and do my make-up for the day while my hair drys (about 15 minutes). 7. Remove hair clips and apply 4-5 squirts of Dove conditioner to my hair, squirt by squirt, scrunching my curls as I go. Previous Post 10 Things You Need to Know Before You Visit Washington D.C.
Hi – I wish I came across your blog re: digital perms before I went ahead last week with mine. I’ve gotten loads of Asian perms over the years, in various forms: digital, air wave, volume magic, etc. 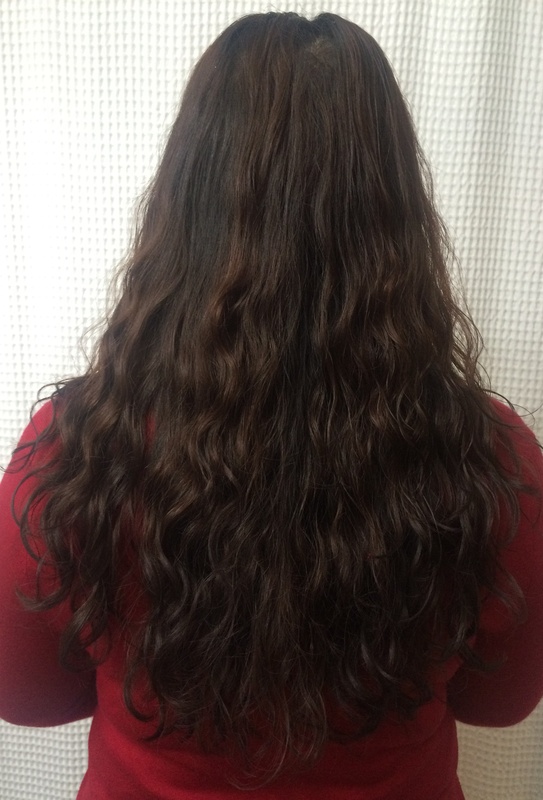 I had a Japanese air wave perm last year that was great but waning since it lasts up to 6 months only. So I thought let’s go back to try the digital perm for a longer perm. Mistake. The first place I went to last week fried my hair and gave me an uneven haircut on top of it. So I tried going to an old Korean stylist to fix it today; she said she had to redo the perm completely. Result now is my hair is much shorter and looks like a dog chomped on the curls. It looks nothing like the pictures I brought in. Why did I do this? Reading your blog is helping keep my frustration and patience at bay. I’ll just have to condition, condition, condition till no tomorrow. I wish you had found my online blog entries before you got your digital perms too! You’re so brave, Ginny! I don’t think I could have permed my hair twice in a week. I’m so sorry to hear that your permed hair is no where near anything you wanted. Fortunately, you’re on the right track back to getting your hair healthy again. Since your hair is shorter and most likely damaged from the perm chemicals and heat, you’ll want to condition your hair. Don’t pour half of jar of coconut oil on your head though – all you’ll end up with is super greasy hair. Condition your hair gently and with some patience. Normally I’d recommend a keratin treatment but your hair has been through enough heat this week. I’d probably stick with a leave in conditioner for the first few week with no heat so that your scalp and hair strands can heal. I’m about to wash my hair for first time after getting digital perm couple days ago. So glad i found your blog. Can’t wait to try your tips.